Thanksgiving weekend started as early as Monday and Tuesday for some. Many make the entire week a dune trip tradition. Attendance seemed to be up this year with a pretty loaded up camp area. You can see from the pic to the left how full the camp area was. 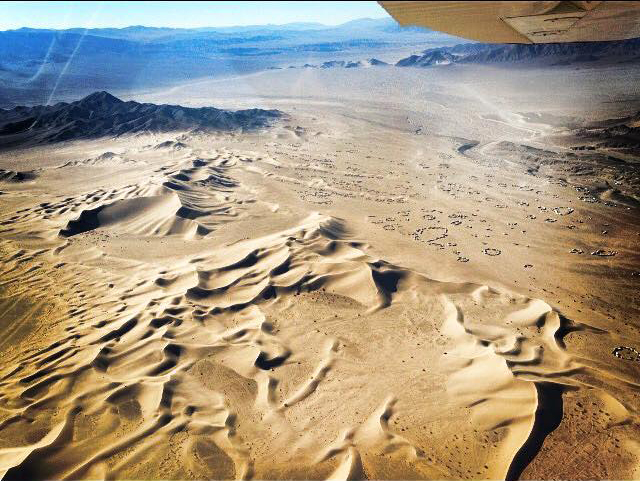 That picture was sent to us from a DDR member's friend who flew over in a small plane. Even though there were plenty of duners at Dumont, the dunes always seemed fairly empty. 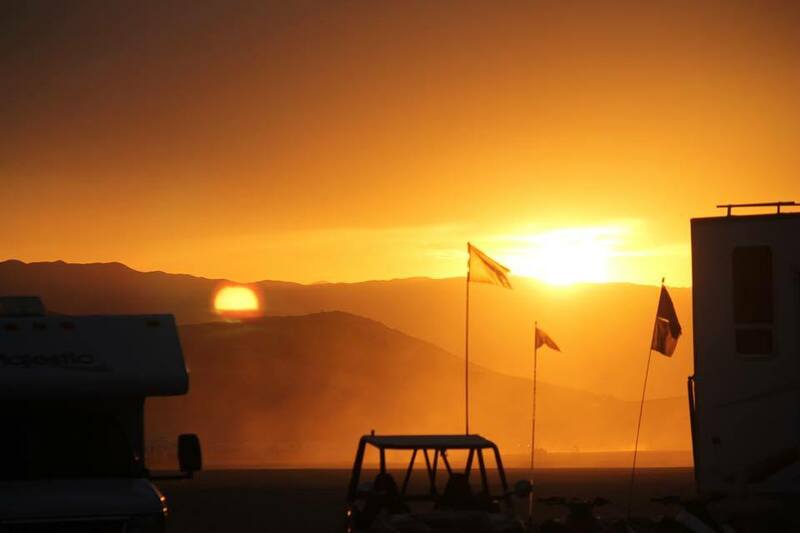 The smell of home cooked feasts filled the camp area on Thursday. The weekend seemed to be a very relaxing holiday one for many people. No major injuries or fatalities were reported. The weekend started out with some windy, cold weather but it turned out to be a great weekend for most duners. Trick or treaters went camp to camp in costume for their candy fix. Vendor row also passed out candy and it was a hot spot as usual. The crowd and energy seemed higher this year than last year. The winds kept the dunes nice and smooth. Halloween is always a favorite for duners as it officially marks the beginning of dune season. This year the temperatures stayed pretty high until that windy Saturday morning. It seems the cool temps are here and dune season will be under swing as normal. Next holiday weekend is Veterans weekend, but that's not as busy as Thanksgiving. 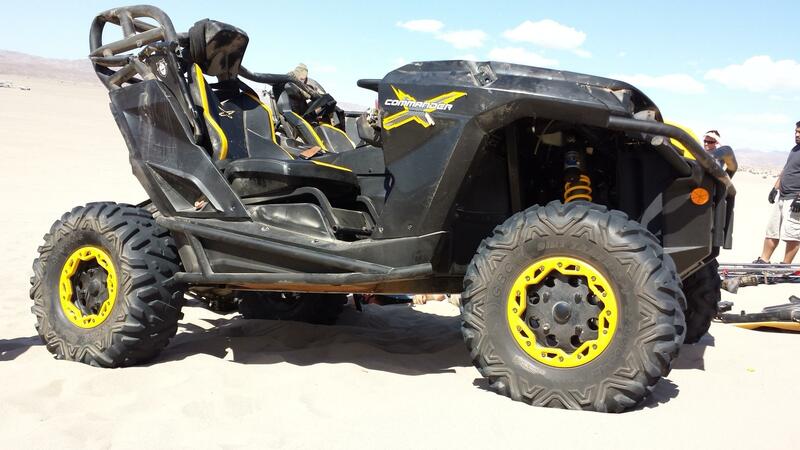 On Saturday March 22nd around 1:45 PM, a 2014 Can Am Commander drove off the top of a razorback dune near the base of the Superbowl near camp at a very high rate of speed. The vehicle, driven by a 44 year old man from Los Angeles, was witnessed to have flown 20 feet in the air and approximately 75 feet before landing on it's roof. The impact killed the driver on impact and caused serious injury to the male passenger who was flown out to a Las Vegas hospital. His condition is unknown at this point. Neither men were wearing helmets. The two men were of Asian decent and it seemed that their group was only there for the day since they had flatbed trailers. Most of their friends and family did not speak English.